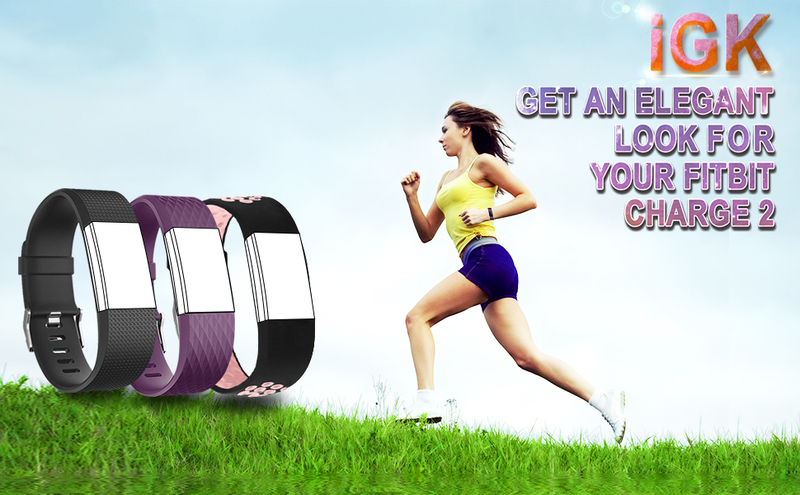 Perfect Material – The Fitbit chagre 2 bands are made of durable and flexible elastomer. Comfortable to wear,eco-friendly and safe for the human skin. Multi-color Choices – Various Colors and two selected sizes for you to choose, personalize your fitness tracker to fit your mood and outfit in daily life. 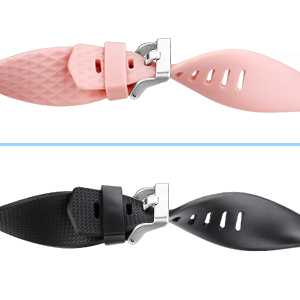 Flexible Adjustment – This replacement band for fitbit charge 2 can be adjusted according to your wrist circumstance. Always a hole for you no matter your wrist is large or small. Free Warranty – 30 Days Money Back Guaranteed. The Fitbit Charge 2 bands are made of durable soft silicone, no wearing off. 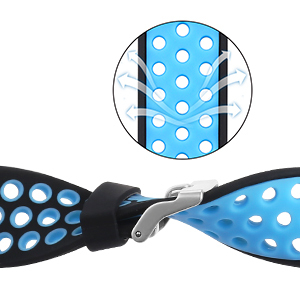 Multiple holes designed for ventilate, breathable and comfortable wearing experience. No worry about sweat and peculiar smell. The Fitbit Charge 2 bands are made of durable elastomer. 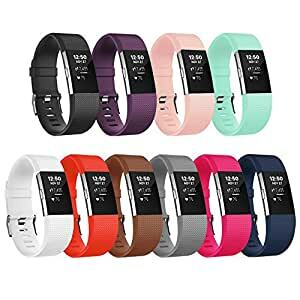 More color choices than original Charge 2 fitness wristbands and match your daily style with sharp, colorful and fashionable choice for Men, Women, Boys and Girls.